One of the great debates surrounding our departure from the EU has been immigration. Since 2016, I have, like many people, had to study the workings of sovereign and EU law to try to understand how it affects us (not much). I can, however, claim to be something of an expert on EU immigration. This is because since I started as an independent recruiter in 1997, I have had to deal with changes in the contract employment sector regarding immigrants. You must be bang on the case with these things or you will be fined heavily. This became particularly noticeable to me in May 2004, when the Czech Republic, Hungary, Latvia, Lithuania, Poland, Slovenia and Slovakia joined the EU. This was because there was quite a large movement of people in the construction industry boom that we now know, was a false boom driven by unregulated lending. At that time, the Irish boom known as the ‘Celtic Tiger’ was sucking up labour from Britain’s major cities. The construction industry filled the void with EU Labour. Laws were put in place to allow successful countries to control EU movement and avoid these alleged ‘swarms’ that Nigel Farage and Katie Hopkins prattle on about. These included being financially viable either by work, savings or pension. If that could not be proved within 12 weeks, the individual could be removed from the EU country they were residing in. What may be apparent in some areas of the country, is that the law has not been implemented very well. I do not know why? It may be a lack of resources to do so because of austerity, an unwillingness to do so, or simply that there is no real need to do so. There will of course be fabricated stories in the media about a bloke from Bungaslavia who has 50 kids, claims ten grand a week in benefits, gets given free fags and vodka and only came here because he wanted a transplant with a BRITISH heart. What I am saying is that there may well not be a problem with Eu immigration at all? What I do know, is that if the will is there, there are stringent laws in place to control EU immigration into the UK. 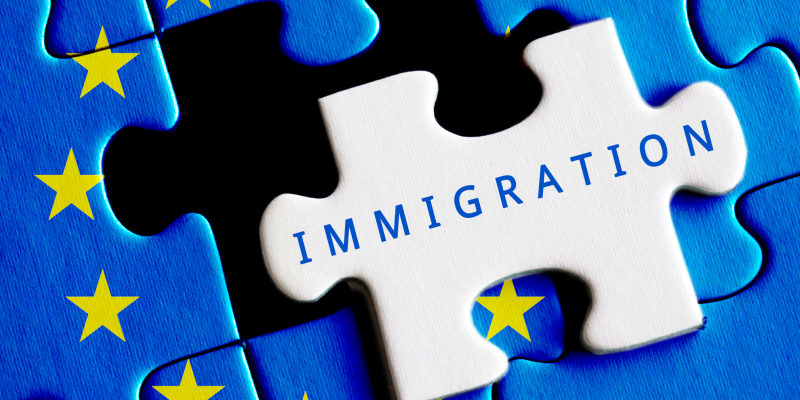 What Does EU Immigration Cost? With regards to employment of EU immigrants and the cost to our infrastructure, there are some very interesting figures. Successive governments have actively encouraged immigrant workers to come to the UK. Well, I can only speak for my industry but there are some stand out facts. Firstly, the men (and occasionally women) who have come to work for companies I supply, have come to earn and earn fast. This means they work long hours, earn big (often £1k a week +) stay for a couple of years and go home to build a big house and marry a goddess from the outskirts of Riga Bay or Tallinn. During say, a two-year period, they will pay around £20k in UK tax, rarely claim rebates, barely touch public services (because they are young and healthy) then go home. It is little wonder the UK government privately like them, whilst outwardly claiming they want to control them. What I find sad, is that the government haven’t invested this cash bonanza back into infrastructure. Therefore, people who made a net profit contribution of around £20 billion in a decade, are getting the blame for coming over here and paying more taxes than most. That’s a crying shame, I think. So, not having the infrastructure to cope with more people, or the procedures in place to stop people outstaying their welcome, is no one’s fault but the government’s. The laws on EU immigration are there in black and white. To finish, I had a conversation with one of the project managers I employ, earlier today. Last year, he oversaw a project at The Old Vinyl Factory (the EMI building) in Hayes. He is English, well, second generation Southern Irish actually, so a kind of EU immigrant. We had the immigration discussion everyone says you are not allowed to have, and he said that it was pitiful on a job featuring around 50 trades staff, the ones who messed him around with time keeping the most, were British. He didn’t mean British workers are bad, but the few bad apples he had, were nearly always British. Whose fault is that? Jean Claude Juncker’s? So, for those of you who have heard the parrot phrase, ‘You can’t talk about immigration through fear of upsetting the PC brigade’, there you go, I’ve just had one with you. For those of you who think we have no control over EU immigrants, I’m sorry to disappoint you, but it’s not just true. The laws are there for all to see. No Replies to "Working With EU Immigrants"